Upon receiving his new appointment, Bishop-Elect Randazzo said, ‘I find it a great privilege and joy to be called by the Holy Father to this role in the Archdiocese of Sydney. I am looking forward to meeting the people, the priests and religious across the Archdiocese, they are valiant people who have a marvellous faith. I look forward to evangelising with them and taking the Church into the modern world’. Mons Randazzo was born in Sydney on 7 October 1966. He received his primary and secondary education in Coolangatta and Southport, Queensland and qualified with a Bachelor of Theology from Brisbane College of Theology in 1991. On 31 May 1991, Mons Randazzo was ordained a deacon and ordained a priest on 29 November 1991 in the Archdiocese of Brisbane. Between 1998 and 2006, he studied Canon Law at the Pontifical Gregorian University, Rome. 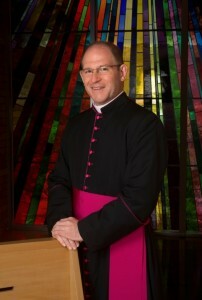 An official at the Congregation for the Doctrine of the Faith between 2004 and 2008, Mons Randazzo became Rector of Holy Spirit Seminary, Queensland from 2009 until 2015. Mons Randazzo was previously Director of Vocations in the Archdiocese of Brisbane, Founding Director of Canali House – a programme of discernment for priestly formation, and formerly the Archbishop’s Liaison for the Emmanuel Community Brisbane. The bishop-elect is currently a judge of the National Appeal Tribunal of the Catholic Church of Australia and New Zealand and assistant to Archbishop Mark Coleridge at St Stephen’s Cathedral, Brisbane. Following the announcement, Bishop-Elect Umbers said, ‘I’m very humbled to have been appointed a successor to the Apostles. I hope to be a fellow fisher of souls alongside Archbishop Anthony, Bishop Terry and Bishop-Elect Tony. This is going to be something of an adventure’. 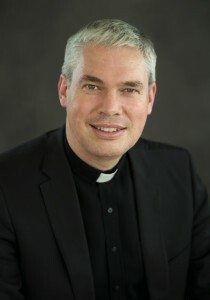 Born in Auckland, New Zealand on 17 March 1971, Fr Umbers originally studied management at the University of Waikato in 1989 but transferred to the University of Sydney in 1992 to receive more intense formation at a Centre of Opus Dei in Chatswood, Sydney. He later qualified with a Bachelor of Economics from University of Sydney and a Masters of Management from the University of Waikato, New Zealand. Fr Umbers entered the Opus Dei Seminary of Cavabianca, Rome in 1996 and studied at Santa Croce Pontifical University, Rome, achieving a Bachelor of Theology in 1999. Between 1999-2002, Fr Umbers studied at the University of Navarre, Spain where he received a Doctorate in Philosophy. On 14 February 2002, Fr Umbers was ordained a deacon and later ordained a priest on 1 September 2002. Since 2003, Fr Umbers has worked pastorally as a School and University Chaplain at a number of NSW colleges. He is currently Chaplain of Warrane College, Creston College and Kenvale College. He also tutored and lectured at the University of Notre Dame, Sydney between 2006 and 2013. Fr Umbers is currently a representative of the Archbishop on the Council of Priests of the Archdiocese of Sydney and a member representative for the Archdiocese to the St John of God Hospitals. The ordination of the bishop-elects will take place at St Mary’s Cathedral, Sydney on Wednesday 24 August 2016 at 7pm AEST.